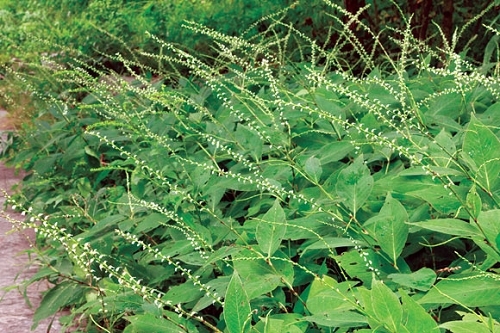 Spikes of white flowers and, later, white seed structures--plus great foliage-- really stand out in a shaded garden. Q: How much can I expect one plant to spread? 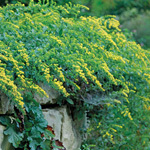 A: In optimum conditions, such as a pampered flower bed with rich soil, it will spread aggressively by seed and rhizome. In poorer conditions, its spread will be less aggressive. 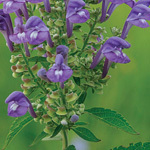 If you just plant one, you'll notice it grows several more stems from the ever-broadening base yearly. After a couple of years, you'll also see seedlings popping up in the surrounding area. Young plants will have a "thumbprint" in the center of their leaves. Mulch will help prevent seeds from germinating, but seedlings can be pulled by hand pretty easily if they are noticed soon enough. If you are wanting plants that spread a lot, you might also consider meadow anemone and golden ragwort.